Captain Jill Hawkins Votaw was born in Mayport, Fla. in February 1959. The daughter of a highly decorated Naval Aviator, she grew up in many locations: Jacksonville, Fla., Norfolk, Va., Alexandria, Va., Newport R.I., NAS Atsugi, Japan and Pensacola, Fla. After graduating with honors from Escambia High School in Pensacola Florida in May 1976, in July 1976 she became a member of the first class to include women at the U.S. Naval Academy. Graduating and receiving her commission as an Ensign, U.S. Navy on 28 May, 1980, her first tour was as the Communications Officer at Navy Tactical Interoperability Support Activity, San Diego, Ca. Captain Votaw was assigned as the Protocol Officer and Assistant Public Affairs Officer (PAO) for Commander, Naval Training Center Orlando, in April 1993. After just a year she was again transferred to Helicopter Anti-Submarine Squadron TEN (HS-10) at NAS North Island, Ca., as the Communications Officer and PAO. During this tour she was concurrently assigned as the Assistant PAO, NAS North Island. In July 1987 she was transferred to Helicopter Anti-Submarine Squadron Light THREE FIVE, at NAS North Island, Ca. There she served as the Assistant Operations Officer, Flight Scheduling Officer, Administrative Officer and Security Officer. Captain Votaw left active duty and joined the Navy Reserve in February 1991. She was redesignated as a PAO and held assignments with several Navy Reserve units, including U.S. Surface Forces, Pacific in San Diego, Ca., the Navy Office of Information (NAVINFO), West, in Hollywood, Ca., and served as the Flag PAO for Naval Reserve Readiness Command 19 in San Diego, Ca. In 1998 she assumed the first of five command tours as the Commanding Officer, Mobile Public Affairs Team Detachment 220 in Everett, Wash. Captain Votaw was promoted to Captain and took command of the NAVINFO West Detachment 119 in Hollywood, Ca. in October 2000. She then took command of NAVINFO Dallas Detachment 111 in Fort Worth, Tex. in October 2002. In October 2004, Captain Votaw took command of the Naval Reserve Combat Camera Group, Pacific, at NAS North Island. Finally, in October 2006, Captain Votaw was selected to serve as the Deputy Chief of Public Affairs and Commanding Officer of U.S. Strategic Command Headquarters Unit 1392 at Offutt AFB, Omaha, Neb. During this final tour, Captain Votaw was recalled to active duty for 4 months to serve as the Chief of Public Affairs for Commander, U.S. Strategic Command. Captain Votaw retired from the Navy Reserve in October 2008. 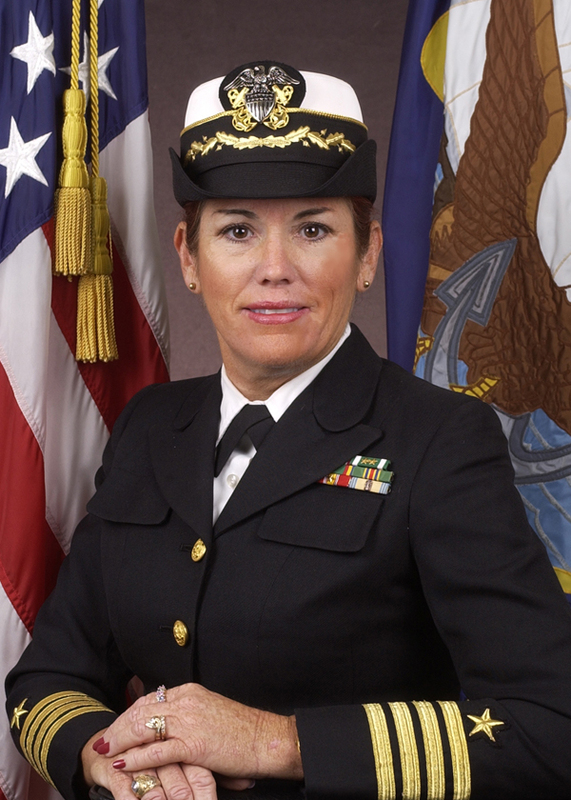 In her civilian career, Captain Votaw entered the U.S. Navy Civilian Service in 1992 as a Public Affairs Specialist. She served at several commands: as the Deputy PAO and Editor of DEPOTALK at the Naval Aviation Depot, NAS North Island, Ca. ; the Deputy PAO and Flag PAO at Navy Region Southwest in San Diego, Ca. ; tbe PAO for Naval Base Point Loma, Ca., and the Regional Environmental PAO for Commander, Navy Region Southwest. Her final civilian assignment was as the PAO for the Navy’s Base Realignment and Closure (BRAC) Office, in San Diego, Ca. She retired from Navy Civil Service in 2012. Captain Votaw has earned the following awards: Legion of Merit, Meritorious Service Medal, Joint Service Commendation Medal, Navy Commendation Medal (3 awards), Navy Achievement Medal, Joint Meritorious Service Award, Navy Unit Commendation, Navy Meritorious Unit Commendation, Navy E, National Defense Service Medal (2 awards), Global War on Terrorism Service award, Armed Forces Reserve Navy Medal, Navy Pistol (sharpshooter). Captain Votaw is married to Rick Votaw, retired Navy Civil Service mechanical engineer. She has two ‘fur children,’ Jet Black, a rescued Lab mix; and Powerpaw’s Gabrielle, an Alaskan Malamute. She and her husband have lived in Clairemont, a community of San Diego, for 30 years. She has two older brothers, Raymond Hawkins, who lives in Portland Maine and Isla Morada, Fla., and Michael Hawkins, who lives in Los Angeles and Palm Springs, Ca. ; and two step sisters, Louise Bancroft Brabner, who lives in Fairhope, Al, and Linda Bancroft Weinacker, who lives in Bremerton, Wash.